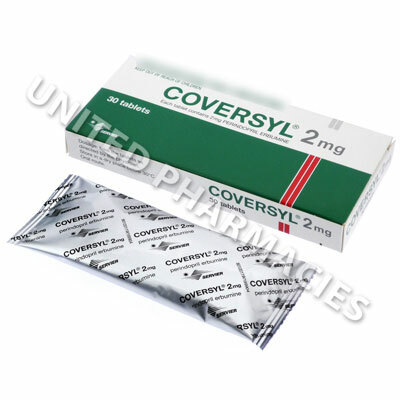 Coversyl (Perindopril) is a long-acting ACE inhibitor with a high affinity for tissue ACE. Due to its unique mechanism of action, proven efficacy, hemodynamic tolerance and cardiovascular properties, this drug is an ideal first-line choice agent in the treatment of hypertension at the dosage of 4 mg to 8 mg if greater BP decrease is needed, or if patients is already at higher risk. It is also indicated in heart failure at the initial dosage of 2 mg and 4 mg maintenance dosage. Coversyl (Perindopril) is an ideal first-line choice agent in the treatment of hypertension at the dosage of 4 mg to 8 mg if greater BP decrease is needed, or if patients is already at higher risk. It is also indicated in heart failure at the initial dosage of 2 mg and 4 mg maintenance dosage. 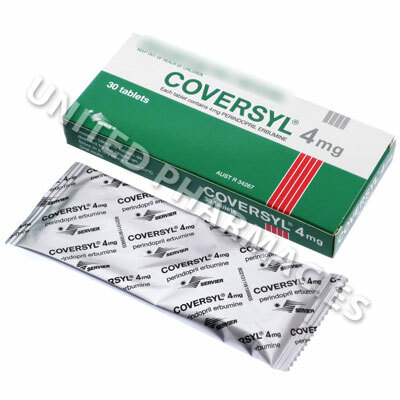 More common side effects of Coversyl (Perindopril) may include Rash; Disturbed sleep; Changes in mood; Disturbances of the gut such as diarrhoea, constipation, nausea, vomiting or abdominal pain; Dry cough; Severe swelling of lips, face or tongue (angioedema); Dizziness; Alteration in taste; Profound drop in blood pressure (hypotension); Disorders of the blood, kidney or liver; Decreased kidney function. 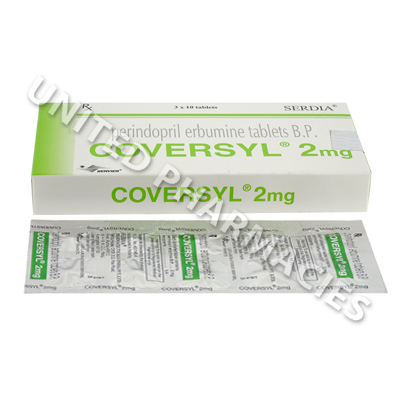 Coversyl (Perindopril) should only be used as instructed and prescribed by your physician or pharmacist. Do not alter your dosage unless specifically instructed to do so by either of the above. Dosage and usage often depends on the severity of the condition, as well as the patient`s medical history and current health condition.